today we’re all about ALGAE! spirulina has long been touted for its health benefits when ingested, but let’s explore some topical uses for this great green growth! spirulina is a type of edible algae that is high in antioxidants, protein, and B-vitamins. you’ll most likely find it in its dark green powdered form, but when hydrated it’s a beautiful deep green-blue color. it’s widely known as a green “superfood”, but is lesser known as a possible amazing addition to common DIY products! this mask can be used with all skin types. it’s very nourishing for the skin overall, and lessens the appearance of fine lines and spots over time. along with the nourishment from the algae, the raw honey adds an antibacterial punch, and helps heal acne and blemishes. this mask will make any skin type glow! this is my go-to algae mask! combine your spirulina powder with your favorite carrier oil (such as jojoba) and your favorite nourishing oil (such as sea buckthorn). adding EOs is also a wonderful addition! lavender or citrus, anyone? lately i’ve been really focusing on my remaining acne scars and evening the tone of my skin, so my recipe (makes 2 masks) has been 2 capsules of spirulina, 1 capsule of evening primrose oil, and a few drops of sea buckthorn oil. it’s nourishing, regenerating, moisturizing, and healing! rose water is a great base for toning your skin, clarifying, and lightly moisturizing. it smells great, too. combine your algae with aloe and you’ve got a face mask that will deeply nourish and moisturize your face, while lessening inflammation, redness, blemishes, and fine lines. another one of my favorites! this mask will vacuum your face clean! mix equal parts spirulina and charcoal, with just enough water to make a thick paste. try adding your favorite oils, EOs, etc, to make a great multi-functional mask. remembering not to use metal or plastic, mix either clay with spirulina for an extra clean and tightening feeling. honestly, you can add spirulina to ANY face mask to add some extra nourishment and antioxidant properties! really! if you want to try spirulina with raw honey and aloe and avocado, DO IT 🙂 try out your favorite face mask with this blue-green addition and see how you like it. take your favorite body scrub and add a few capsules of spirulina to the mix to give your body a nice dose of vitamins and antioxidants all over! right now i’m loving my coconut-lime salt scrub. if you’d like to give this one a go, mix 1/2 cup sea salt with 1/4 cup coconut oil. add 10 drops lime EO and 2 capsules of spirulina. mix well and store in an air-tight container. you can also sub in your favorite carrier oil instead of coconut oil. adding 2-3 teaspoons of spirulina to a scalp or hair mask (applied to scalp) will add wonderful nutrients to your hair and scalp, and help your hair grow stronger and your hair follicles stay healthier. it will rinse right out on its own, so don’t worry about having to wash it out a special way. my favorite scalp mask right now is pure aloe gel, 2 capsules of spirulina, 1/2 tbs raw honey, and the juice from 1/2 lime (works the same as raw acv, but smells better). it leaves my hair moisturized, shiny, and soft! do you have any spirulina beauty DIYs to share? and/or – which ones do you want to try? and if you hadn’t noticed, AE is now officially a “.com”!! and of course, i’m funding this on my own. i do not have affiliate links and i’m not in this to make money! 🙂 thanks for the continued support since the launch of AE! love you guys! YAY! I’m interested in getting started with making my own makeup thanks to you and your blog! I have green eyes and love my dark-ish green eyeliner because it makes my eyes pop. I was wondering what ingredients I could use to try to make it myself. Would you recommend Spirulina? or what else would you use? Thanks for your continued blogging and congrats on the .com! I have a question unrelated to Spirulina – though I appreciated this entry on it. My question is about bentonite clay. You mentioned in an earlier post (https://almostexactlyblog.com/2013/10/21/problems-with-no-poo-or-low-poo-heres-the-holy-grail-of-natural-shampoos/) that benny clay can be used as to clarify your hair before starting no-poo. I just wanted to check – is this still accurate? I’ve been low poo for over a year now, but I have a guilty practice of letting salons just put whatever in my hair. I only get my hair cut like twice a year…but I also recognize that each time i do that, i have to go and re-clarify. Any other tips on clarifying with benny clay? Love all your posts as usual. I think it is important to note that this is a common addition to many prepared green juices (like naked, bolthouse etc…). Although those are awful for you I was suprised to hear that this algae and many other herbs etc should not be consumed when pregnant. ….as always ask your doctor when making drastic diet or lifestyle changes…. but I was told this particular algae can be very harmful to pregnant women and their babies. Just an FYI! I just wanted to give you my experience. Today I did a spirulina/aloe mask and my face started to feel very hot and after about 5 minutes it was like my skin was pulsating. I just ignored these feelings and after 15 minutes I rinsed off my face – I was red as a beet. I just looked up spirulina and there are side effects one being flushing. I think they are talking about ingesting it but it obviously causes problems topically. My face was finally back to normal after about 30 minutes. sorry to hear that, sue! that’s awful. may i ask what brand of spirulina and aloe you have? i’ve only seen (through research, not experience) about side-effects occurring when taking more than a recommended dose and from it happening due to the colon cleansing. again, sorry to hear this happened! No problem. I just wanted others to know just in case they had a reaction. At least there weren’t any lasting problemss. I got the spirulina from my naturopath’s office. The aloe is ok because I use it (mixed with coconut milk) on my hair as a conditioner and haven’t had any issues. I guess I’m just very sensitive. I’m glad I didn’t ingest it – that may have been interesting. I’ve never even heard of this stuff before, it sounds wonderful! Any recommendations on brands? hey alara! this varies greatly depending on where you live, but i would avoid products sourced from china due to pollution, and aim to get products that are raw and organic. one example would be starwest botanicals. their powder is raw and organic, and i haven’t been let down by them yet. i personally have an organic chlorella and spirulina blend (in capsule form) so i can also take them as supplements. hope this helps! What brand(s) of Spirulina do you recommend? oh goodness; thanks so much enola!!! brands vary greatly depending on where you live, but i would avoid products sourced from china due to pollution, and aim to get products that are raw and organic. one example would be starwest botanicals. their powder is raw and organic, and i haven’t been let down by them yet. i personally have an organic chlorella and spirulina blend (in capsule form) so i can also take them as supplements. hope this helps! I love your blog. Can you please clarify what type of rose water you use. Is it the type that you can cook with? thanks so much, kirianne! i have food-grade rose water (not rose EO) that i found in my local health food store. hope this helps! 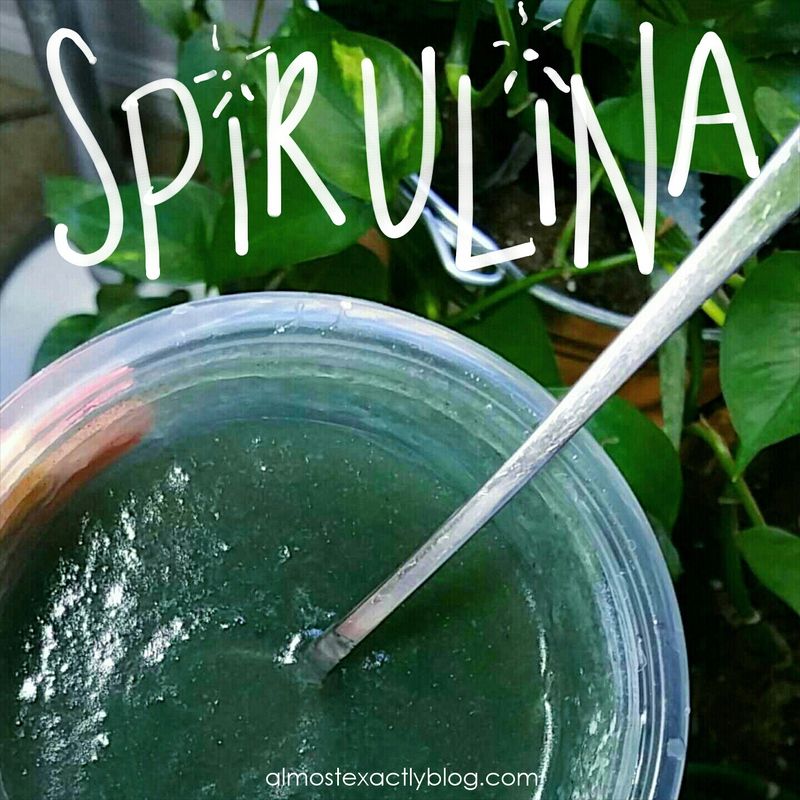 I was just reading up on spirulina the other day and its amazing nutrients and was considering buying it especially since I’m pregnant and trying to get as much nutrients as possible so this adds to my reasons of getting spiralina…THANKS!!! awesome!! thanks so much for the support!! and congrats on the little human! that’s so exciting! Wow! First time hearing of this ingredient and would love to try it out! Also, I love how you put added the extra ingredients and how they can help you. Will definitely try it out soon!